Our facility offers official college and high-school sized basketball courts for rentals along with a newly renovated weight-room and a state of the art sound system. We strive to provide world class customer service and an environment that can be enjoyed by players and spectators alike. 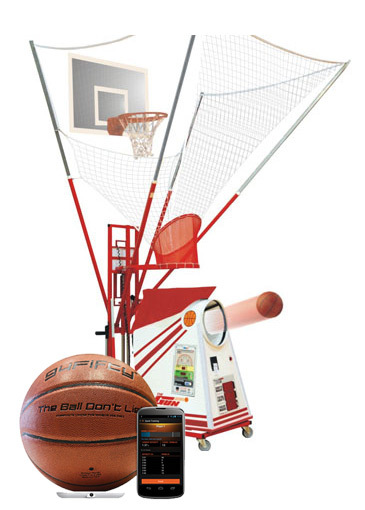 The Sure Shot is a state of the art shooting program that provides players of any level the techniques and mechanics for improvement shooting the basketball and making shots with consistency. The cost $20 per 1/2 hr. One thing to know about Pacific Courts is we enjoy having a good time. If you have birthday parties or special events we are more than happy to assist you in your celebratory ambitions and provide a state of the art sound system for your occasion.